The Tarik Black Foundation is now accepting applications for this summer’s TRANSFORMATION50 basketball and life skills camp. This year’s camp will be held at Gaisman Community Center. The camp runs July 15 – 19, 8:30 am – 4:00 pm. The camp, which is hosted by Tarik Black, is for boys ages 11 – 15 years old. Boys do not have to be a member of a basketball team to attend. There will be ten boys selected for each age group. Boys selected will be notified by June 1, 2019. For more information about TRANSFORMATION50 basketball and life skills camp CLICK HERE. To apply please complete and submit the TRANSFORMATION50 application by May 15, 2019. Foundation to conduct awareness campaign through end of year. Memphis—Nov. 9 The Tarik Black Foundation looks forward to participating in the 2018 Giving Tuesday Campaign. Giving Tuesday is a global giving movement that encourages the public to contribute to charities they wish to support on this day. In the days leading up to the campaign, the foundation will conduct a social media awareness campaign to help the public understand the foundation’s mission and vision for the future. “We are using this month leading up to Giving Tuesday to inform people about who we are and our mission of providing programs for youth that build character, instill values and teach life skills,” said Judith Moore, President. Moore says that this campaign is as much about getting people acquainted with the organization as it is about raising funds. As the TBF enters its third year, foundation leaders feel it’s time to focus on publicizing their cause and vision. “The first two years we were more focused on establishing our programs, seating a board and creating the infrastructure needed to support our work,” said Moore. “With two camps up and running and having hosted many activities in Memphis, Houston and Los Angeles, we are ready to more actively seek public support. The foundation’s campaign will kick-off with a message from Tarik Black, CEO and Founder of TBF. He will post his message from Israel where he is currently playing for Maccabi FOX Tel Aviv basketball team. Board members and staff will then help spread the word via their posts the remainder of the month. Moore says this campaign will continue after Giving Tuesday until the end of the year. Giving Tuesday is an annual event with global reach. (Memphis, TN – April 20, 2017) NBA Los Angeles Laker Tarik Black promised his hometown, Memphis, TN, that he would come home and give back to the community that he loves. Today, at a press conference, Black announced the details of the inaugural TRANSFORMATION50 Basketball and Life Skills camp. More than 50 Memphis area coaches and students attended the event at Streets Ministries. Black and his mother, president of the Tarik Black Foundation, Judith Moore, shared information about the camp and the direction of the organization. “Ten years after hearing Magic Johnson discuss basketball as being a vehicle to accomplish many of things he wanted to do, I’m following my vision of starting this foundation to make an impact in my community,” said Black. The culminating even for the camp will be an awards gala. Four individuals who have had a major impact on Tarik’s life were introduced at the press conference and awards in their honor will be given at the gala. Byron Johnson- Neighborhood Officer Role Model (NORM) Award: The police officer receiving this award goes beyond the call of duty. Leonard Draper Award- Guiding Hand Award: Given to someone who has stepped into a young man’s life and provided guidance, mentorship and counseling. Wesley Henning – Northern Star Award: This award will go to someone who has touched the lives of groups of young men. Willie Gregory Award: Touchstone Award: This award will be given to someone who sets an example- an adult who young men look up to and want to emulate that’s a positive role model and upstanding citizen. The TRANSFORMATION50 CAMP is July 10-14, 2017 at Ridgway High School in Memphis, TN. 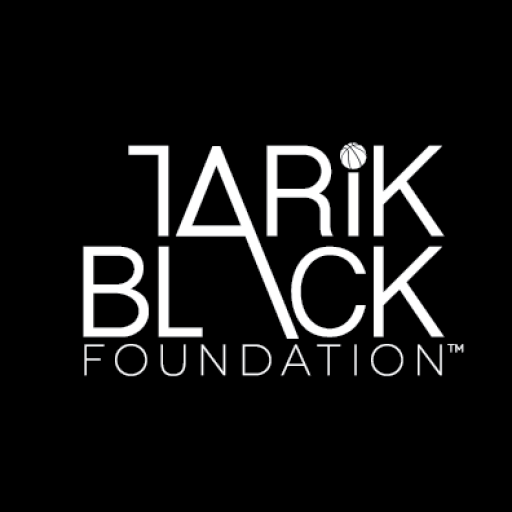 For more information on the foundation or camp, visit www.Tarikblackfoundation.org. The Tarik Black Foundation was founded by Tarik Black, a NBA Association and Los Angeles Laker player. The Memphis native, who graduated from Ridgeway High School, received his undergraduate degree from the University of Memphis and his master’s degree from the University of Kansas. The Tarik Black Foundation, headquartered in Black’s hometown, Memphis, TN provides programs and recognizes causes that offer help bring about positive change in communities. The foundation is managed by Judith Black Moore who serves as president and oversees day-to-day operations. LA Laker Tarik Black establishes foundation and basketball camp. Transforming lives through community service is one focus of the newly established Tarik Black Foundation. The Memphis native is the definition of a success story. Most are aware of Black’s abilities on the basketball court but few know just how serious he takes education and giving back to his community. The Los Angeles Lakers Power Forward/Center launched the Tarik Black Foundation in January of this year. “Through positive mentorship, we’re striving to inspire underserved youth to become visionaries,” says Black. “We want to encourage them to explore and engage beyond where they are today. The foundation will be looking for ways to partner with other organizations and agencies that align with our mission. We are hoping local companies and agencies will work with us to offer character-building programs that give youth positive life skills and memorable experiences through athletic, health, education and social programs,” said Black, who serves as Chief Executive Officer for the foundation. Judith Black Moore, mother of Tarik Black, will serve as President of the foundation. She will run the day-to-day activities of the foundation and work with Black and the Board of Directors on new programs. “The vision for this foundation is one that my mother and I have shared since I dreamed of playing at the NBA level. I’ve been blessed to experience my dream, so I want to do my part in transforming young lives in the Memphis community and anywhere I go I’m committed to my hometown, though, so my foundation is here where my mother will take the lead in executing my vision,” said Black. The first foundation program is the TRANSFORMATION50 Basketball and Life Skills Camp. It will take place in Memphis, July 10-13, 2017. This program is targeting boys between the ages of 11-15. Coaches will recommend players for this camp that will accept 50 players this year. The nomination packets should be received by April 1, 2017. 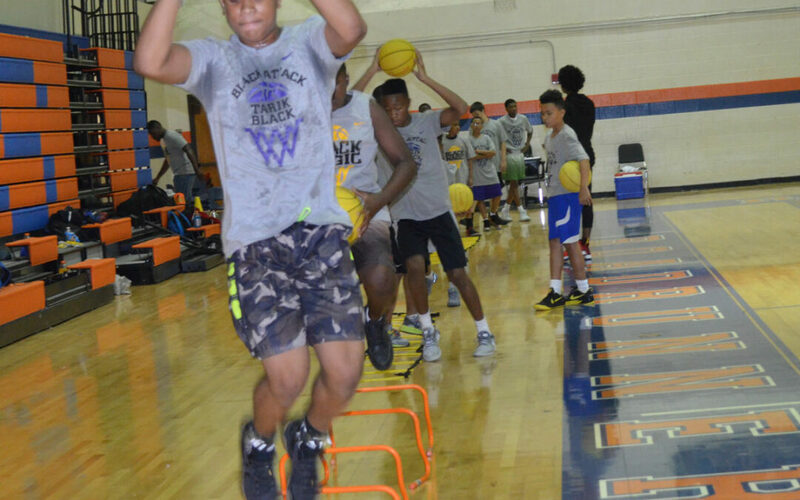 This basketball camp will be unlike most camps wherein basketball skills are secondary, he plans to teach these students life skills such as financial responsibility, proper etiquette, and conflict resolution. The Tarik Black Foundation was founded by National Basketball Association player and Los Angeles Laker Tarik Black. The Memphis native, who graduated from Ridgeway High School, received his undergraduate degree from the University of Memphis and his master’s degree from the University of Kansas. The Tarik Black Foundation, headquartered in Black’s hometown, Memphis, TN, provides programs and recognizes causes that help bring about positive change in communities. The foundation is managed by Judith Black Moore who serves as president and oversees day-to-day operations.